Sometimes – rarely, admittedly, but sometimes – when books are adapted to film or television, the results simply do not need to be amended. They so rightly capture the spirit and themes and characterizations in the original source material that any attempt to reboot or expand them become a futile exercise. In 1966, Chuck Jones directed a simply animated television special based on the book How the Grinch Stole Christmas! by his contemporary, Theodor “Dr. Seuss” Geisel, with whom he’d worked during World War II. Starring the legendary Boris Karloff and with creative input from Seuss himself, it was twenty-six minutes of marvelously funny and heartwarming holiday fun. 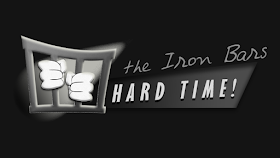 It is also a classic redemption arc that has been held in high esteem as a classic since its release – and it has never needed to be improved upon or added to. In the wake of so many franchises being modernized, rebooted, reimagined and repackaged for younger generations to enjoy, it’s no surprise that the Grinch’s story has been rewritten twice for theatrical releases. The less said of the live-action disaster from 2000 starring Jim Carrey, the better – but there is a new adaptation, Illumination’s The Grinch, being released in 3-D computer animation, and the question we must ask ourselves is….why. 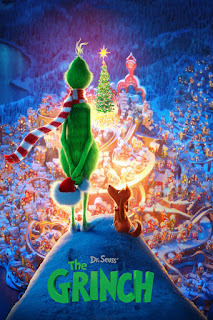 The animation is beautiful in this new Grinch film, with lush snowy backgrounds and adorably clever designs for the town of Whoville, which has been depicted in many ways over the years in various Seuss specials and films and which, here, is a charming and happy place full of moderately diverse creatures who so love the holidays that they turn their entire city into a living department store window display for Christmas every year. There are some genuinely lovely scenes, certainly, and the character designs are appropriately whimsical. It’s a decidedly charming offering in the genre of children’s films. But that’s really all it is, unfortunately. The story of the Grinch really didn’t need another makeover, and there is so little of the gentle humor and real, heartwarming storytelling that makes so many other films from Illumination such delightful experiences present in this one that it’s difficult to sit through. It’s a straightforward pandering to its younger audiences, but even though it is clearly geared for children, it lacks momentum. It focuses so much on giving the Grinch an unnecessary backstory, turning the character Boris Karloff portrayed as a grouchy straight-man who just wants to be left in peace into Benedict Cumberbatch’s anxiety-ridden shut-in, who doesn’t hate Christmas so much as he hates feeling isolated, that it loses its ability to tell a compelling story. It is this kind of fundamental misunderstanding of the lead character that has made every interpretation of him outside of Jones’s such a failure onscreen. The idea that the Grinch has to have a reason – some tragic backstory of rejection or loneliness during his childhood – to be a spiteful, solitary character doesn’t really work; his transformative realization comes, in the original story, because he realizes that “Christmas perhaps doesn’t come from a store.” He comes to understand the value of Christmas as a concept through the Who celebration, after he has thieved all of their decorations and presents, not because he particularly needs to find a sense of family or community, but because he has never fully allowed himself to consider that the reason everyone in Whoville loves the season so much has nothing to do with all the reasons he has hated it for so many years. 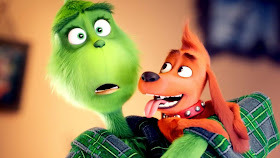 All comparisons aside, taken on its own merits, The Grinch tries hard to be lovable and silly nostalgia fodder to appeal to the whole family but it just doesn’t live up to its own potential. Pharell Williams narrates the rhyming tale with a slight edge, there are some new animal friends for the Grinch and his faithful dog Max, and there is even a new hip-hop version of the classic “You’re a Mean One, Mr. Grinch” from Tyler the Creator (which, honestly, just pales in comparison to Thurl Ravenscroft’s original version) and a score from Danny Elfman that hearkens back to the original animated special. But so much of this feels terribly unnecessary, and adds nothing to what’s already been done. Its focus on turning the Grinch from a spiteful curmudgeon to a nervous bumbler who just needs to be shown a little kindness to change completely cheapens his effect as a character. There are stretches of the film where practically nothing really happens, and the goals of some of the other characters are vague and come to unsatisfying, clichéd conclusions. 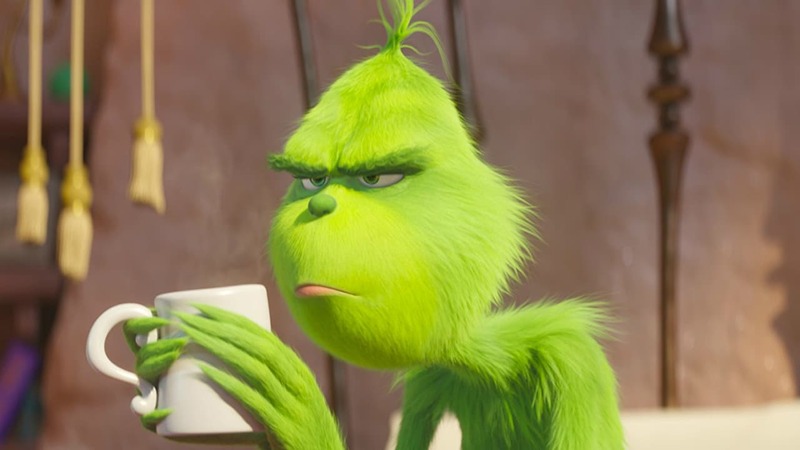 Ultimately, The Grinch may appeal to a lot of littles, but it lags disappointingly and isn’t really funny or sweet enough to make it worthwhile for adults to enjoy. Its saving graces, in its score and the lovely design work and animation, are too few to be worth it. Its tedious pacing and the softening of its main characters don’t do it any favors, and it just ends up feeling completely pointless. Those of us who have grown up with Dr. Seuss and his wonderful creations, and the generations who are only now beginning to discover them, deserve better than this can of Who Hash. One is definitely better off renting the original 1966 television special, instead – the heart will grow three sizes, guaranteed.